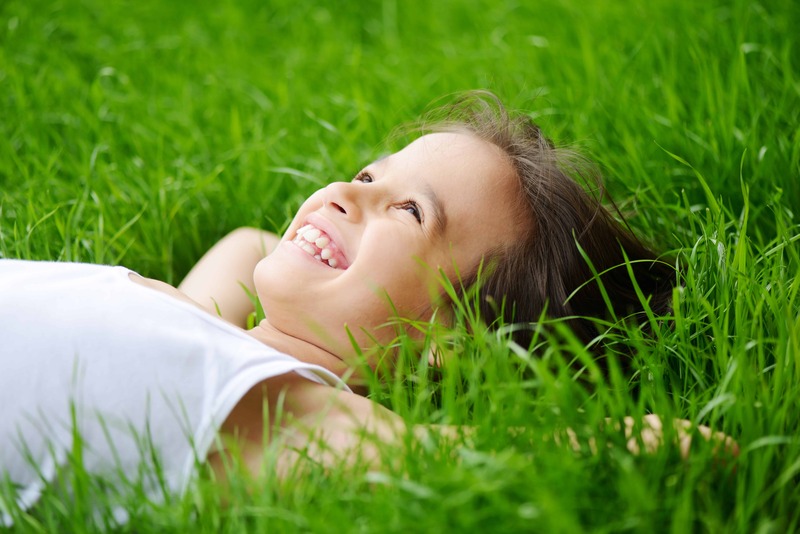 Want to know how to handle a hyperactive child? 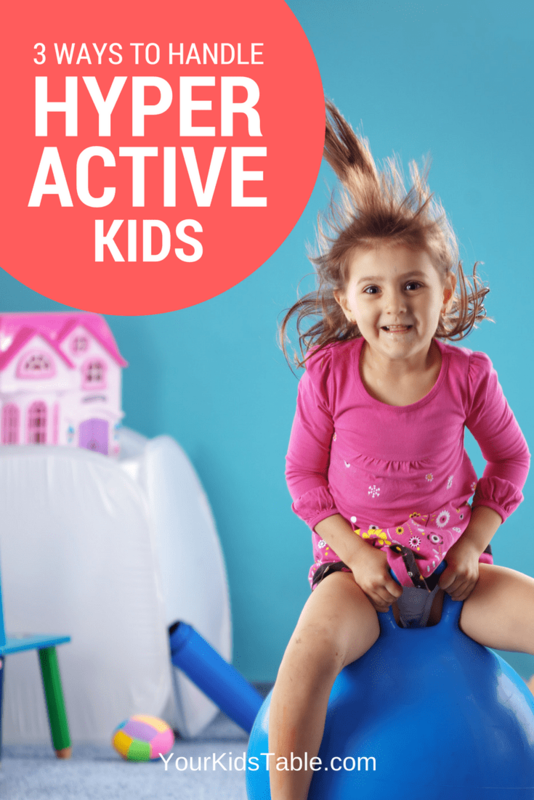 I’ve got you covered with three big strategies and over 20 simple activities that can change everything for hyperactive kids. Improve focus, attention, learning, and communication! Sometimes my house can feel a little crazy. On any given day, I can be washing dishes at the sink (I spend a lot of time there) while I watch what seems like pure chaos unfolding around me. I try to focus on the sound of the rushing water that’s coming out of the spout and not the loud screams and shrills of laughing and playing coming from my boys. I see my son Isaac running through the living room, down the hallway, and back again, making a loop a few times before heading to the couch and jumping on it, kicking all the throw pillows onto the floor (and on top of the toys that are scattered across the carpet). He’s yelling or singing in a big loud voice, I can’t tell which as I turn to scrub crusty food off of another plate. But, it’s not long before I feel him whiz by me on his way upstairs only to be found moments later dragging all sorts of pillows and stuffed animals downstairs to jump and crash on. Au contraire, I need not worry long because now somebody is hurt, crying, and calling for me. Is your home anything like mine? Why is My Child Hyperactive? Personally, I think the word “hyperactive” is a big blanket term to describe any kid that is particularly active, like my Isaac. We use it to describe all sorts of behaviors, usually ones we don’t fully understand. 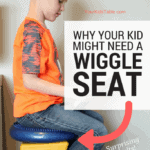 To make it clear for this post, let’s define a hyperactive child as one that frequently seeks out movement and can have difficulty sitting still. Temperament – It’s who they are! Genetics – The apple doesn’t fall far from the tree, if a parent was “hyperactive”, well, you get it. 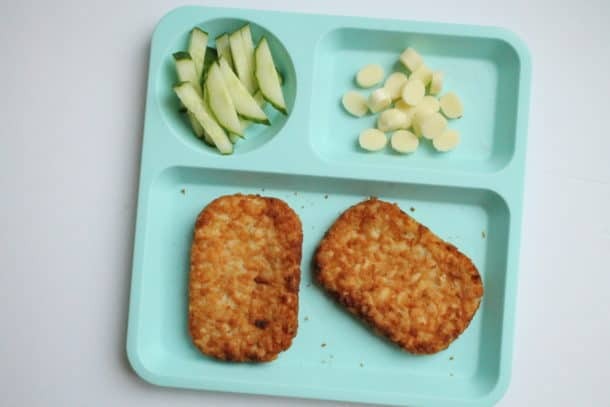 Diet – Can play a role if its a high carb/sugar diet or possible food sensitivities are involved. Environment – If it’s wild and disorganized in a room, it often promotes the same kind of actions. Season – Winter months may increase hyperactivity because of less free play outdoors. For most “hyperactive” children a combination of these reasons are likely in play. And, the reasons can vary from day to day and week to week. On top of that, some kids can be hyperactive on particular days or all of the time. 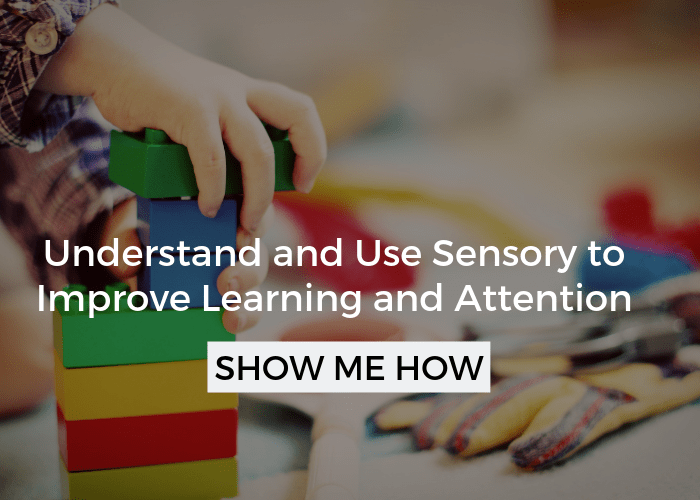 While any of the above reasons can affect a child’s hyperactivity, there’s one common denominator that’s often at the root of a hyperactive child or toddler, and that’s sensory. It’s almost impossible for hyperactivity and sensory not to go together, they’re like peanut butter and jelly. 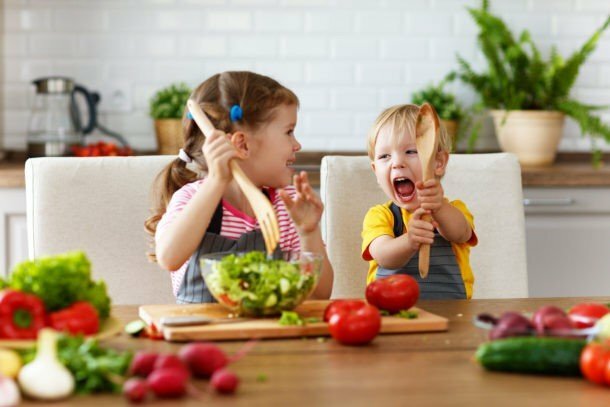 Hyperactivity in and of itself is looking for more activity whether that means a child is tipping back on their chair, jumping on the couch again, or getting up from the table 20 times during dinner. See the brain is looking for MORE sensations and it won’t be satisfied until it gets it. That’s why our hyperactive kids keep pushing the envelope, seeming not to hear or understand us when we tell them to sit down. It seems like they’re being bad or defiant. 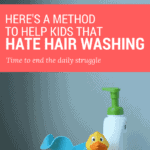 This makes us feel like bad parents, and I am speaking from personal experience. BUT, there’s a huge bright light at the end of the tunnel and that’s using sensory strategies to help us deal with and handle a hyperactive child or toddler. 1. 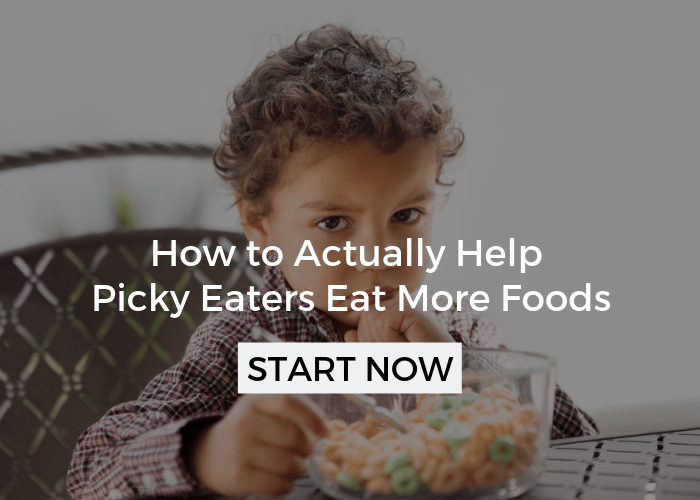 Offer activities with rhythm and structure – It’s incredibly important for hyperactive and energetic kids to have an outlet for all that energy. Stifling it, or trying to, often will make it worse. But, sometimes a free for all can make things much worse as well. There’s a difference between going outside and running around everywhere and running back and forth between two points. The latter is putting some structure to an open activity that may otherwise just make your child more hyperactive. Then, to kick it up a notch, if you combine some structure with rhythm, the rhythm is often even more calming and organizing to the body and mind (this is one of the sensory tricks). For instance, singing a rhythmic song like, “The Ants Go Marching One by One” or a military chant-like phrase, “March, one, two, three” over and over again to a specific beat during the activity. I know that may sound strange but think about the sound of that military chant repeating in your mind right now. Do you want to lift your feet to march, do you feel a sense of calm? Those are common experiences and when we pair songs or chants with a rhythmic, repeatable beat to motions like jumping, marching, or running, it can calm kids down quickly. Playing sports – This is built in structure. So many sports your child can play with you, a sibling, or friend in the backyard or safe space in the home. With tons of sports to choose from, you have endless options. Obstacle course – These don’t have to be too complicated, think about simple ideas like crawling over and under objects, walking on a line, and hopping to the finish line. Click here for more inspiration. Jumping on a trampoline – as in my above example, try singing or simply counting, which is also great for steady focus. We have one like this. Climbing – Use a staircase on hands or knees, a jungle gym, a tree, or if you’re lucky enough a rock wall. 2. Free Active Time – Yes, the total opposite of what I just told you. While structure is important for a hyperactive child, so is free play. A time when they can run wildly if they choose without anyone telling them to stop. Sometimes it’s best to lead with a period of time where they have the time and space to run wild and do what they like. Great if this can be outside, but inside the home can work too. Set some ground rules about safe behavior, and if it’s hard to watch, maybe there are some dishes you can do! If your child is really ramped up instead of calmed down after some free play, then you may want to transition to either the first or third strategy afterward. Swinging – think porch swing, not a contest for who can go the highest on the swingset (which is a great activity and can be helpful in its own right, but if you’re going for relaxation, that may not be it). Dim lights – don’t underestimate this subtle change. Sometimes just dimming the lights can help calm a child. Organized room – an organized space with toys and items put away can also have a big impact. Music – think soft, slower music. Changing light – at times my kids use these slow changing night lights/diffusers to watch as they drift off to sleep. A lava lamp can have the same effect. 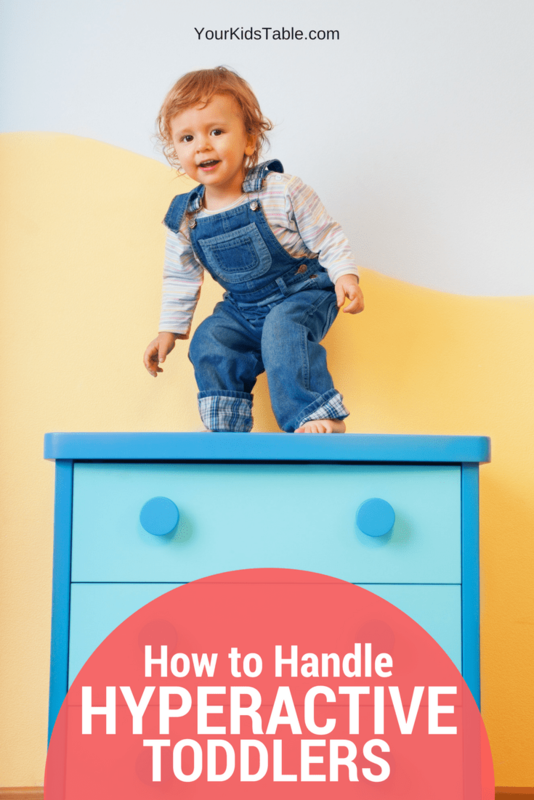 Having a hyperactive child can be exhausting, in every sense of the word, but don’t lose hope, these three solutions, either used independently or together can have a tremendous impact on your child’s life. One caveat though, don’t give up on these too soon. It’s so important that you try all of these strategies multiple times. It will take you and your child some time to figure out what’s working and what’s not. Use sensory bins – Might be best to try this after some structured movement time, but many kids will become very attentive and focused on exploring different textures, often for longer than they’ll do other activities. 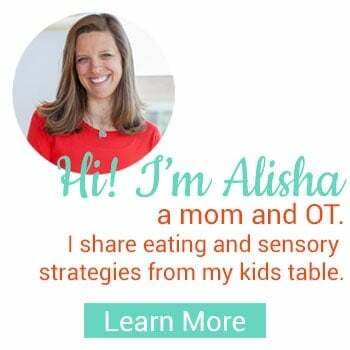 Head over to my list of sensory bins for ideas and how to make them educational too. Riding toys – Most toddlers have one, have it out often and encourage your hyperactive toddler to ride it and push it around. It’s fantastic sensory input that will likely calm them down. 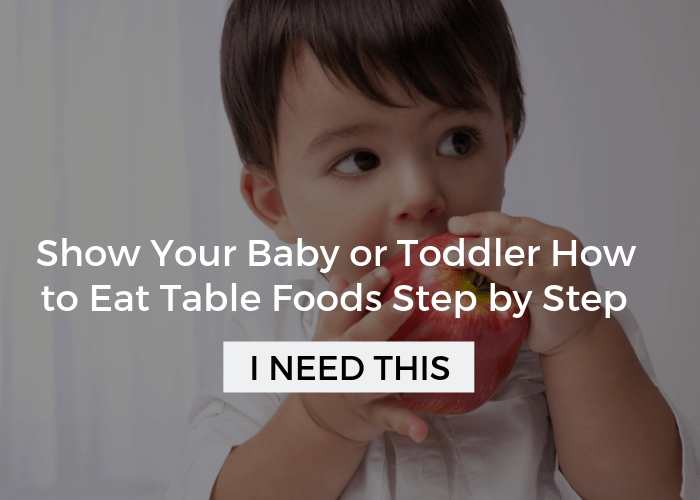 Pile the couch cushions on the floor – All kids love this, but it’s especially perfect for toddlers. The climbing and jumping will meet their sensory needs. Decrease screen time – I know how much the tv or tablet can be a lifesaver, but watch how often your hyperactive toddler is watching it. More and more studies are showing that screen time actually increases hyperactivity (See this article). I’ve noticed in my house, with much older kids that after we watch a movie, which isn’t that often, it’s like someone just lit a fire under their behinds. Their hyperactivity is through the roof! 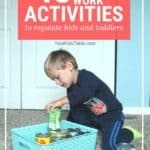 You’ve got a plan now for how to deal with a hyperactive child or toddler! But, if you haven’t got it already you need to grab my Sensory Red Flags You Might Be Missing Printable. 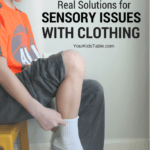 Whether sensory is new to your or not it’s an important checklist to have. 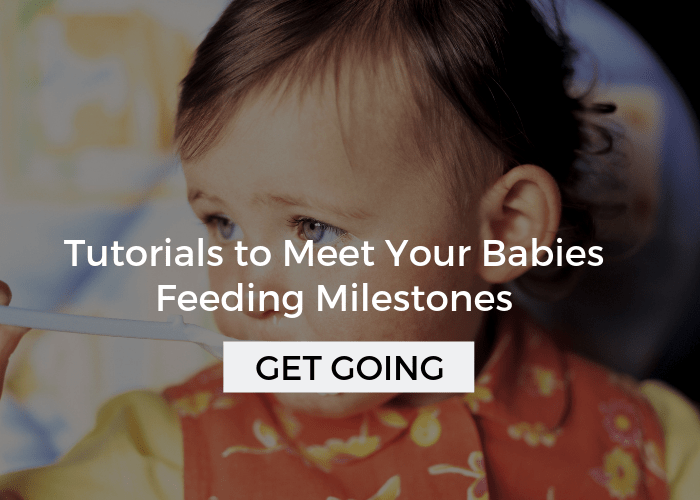 Save these tips to your parenting board. Grab the pin right here! I’m behind the scenes on Instagram showing you my real-life, in action, strategies I use with my kids. You’re not alone. Come join me here. I have read many articles on ADHD, hyperactivity and sensory seeking. Your article is the best one I have come across! You stated what is needed, why, and then listed a handful of activities that could accomplish that need. AND you explained why each activity helps! Thank you! I am going to write short notes to refer to when my children become overly hyper. I am bookmarking your page and cannot wait to read more! Wow Angie, that’s unbelievable! Thanks so much for sharing your insights and experience, it will help others. The article on hyperactive kids is close to accurate, but missed a couple. One thing that is unfortunetly missed is Restless Leg Syndrome. My daughter was diagnosed at 4 yrs old with sever ADHD. She did not sleep more than 4 hrs a day, and not in a row. She even walked in her sleep. She came off all meds by 4th grade for ADHD but was not diagnosed with Restless Leg Syndrome until she was 17 yrs old. She has an extremely severe case of RLS. She was also diagnosed with short term amensia at 18 yrs old. The schools insist on ADHD meds and push to much on ADD or ADHD instead of looking for other possible problems.